How to login into WordPress from iziExport? 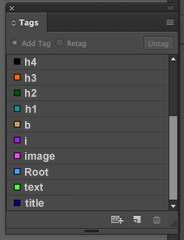 How do I tag page items in InDesign? Which Adobe InDesign versions are supported? Do you have problems with the installation? Which elements can contain the InDesign article to be exported? Why aren't some elements exported? Which specific tags should I use? How can I export bold and italics? How are WP custom fields set up in iziExport? What happens if the text frame tagged as title has multiple typographies? Can't you export the caption? Can I export WP categories and tags? iziExport is an Adobe InDesign Add-on that allows you to export tagged InDesign documents to WordPress. The price of iziExport is $69.95. There is also a trial version fully functional, only limited by the amount of exports. Step 3. Creative Cloud Desktop App automatically sync/download and install iziExport Add-on, and a toast notification appears on your screen to indicate that iziExport Add-on has been installed. Step 4. Find iziExport from the Window→Extensions menu in Adobe InDesign. Once installed, find iziExport from the Window→Extensions menu in Adobe InDesign. - Enter your WordPress username and password. Step 1. Verify that XML-RPC path is correct. Step 2. Verify that your WordPress site has XML-RPC protocol enabled. If XML-RPC protocol is enabled, you should get back the following message: XML RPC server accepts POST requests only. Otherwise, to enable the XML-RPC protocol, go to Configuration > Write > Remote Publishing and check the checkbox. - Tagged rectangles frames with an image placed in it. - Groups of two elements, a rectangle frame tagged as image and a text frame tagged as caption. These elements will be exported as an image with its corresponding caption. - Groups of more than two elements. They will be converted into an image. This is the way to export vector graphics created in InDesign. Groups must be first created and then added to the article. Step 1. Create the tags title, text, image, caption and summary to identify each content element that you want to export. 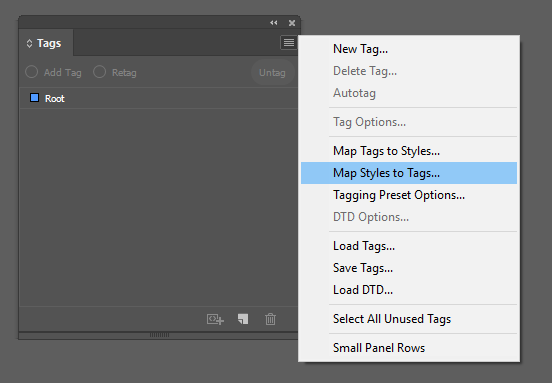 From InDesign choose Window > Utilities > Tags to open the Tags panel and click the New Tag button on the Tags panel. Step 2. Tag page items with manual tagging. Select a frame or text, and then click a tag in the Tags panel. Step 3. To export your InDesign document correctly, check that the page items are correctly tagged (title, text, image, caption and summary). And check that the elements has been added to the article before exporting (to create an article, you must select the frames and text of the article and click the New Article button in the InDesign Articles Panel). - Check that the elements has been added to the article. - Check that the element currently selected in the layout is part of the article. - Check that only one element of the article is tagged as title. Any image must be grouped with its corresponding caption. You can export any text style (bold, italic, h2, h3...). The tags other than title, text, image, caption and summary are automatically added as WordPress custom fields. Tag other page items (subtitle, etc) in InDesign with the same name of your WordPress custom field (for example the_subtitle). You can also use the User Fields area to manually add text from iziExport. In User Fields area, in the first column, enter the name of the WP custom field. In the second column, enter the text to export. Fields defined will also be exported at the end of the main text, depending on the option selected in the ID Extra Tags combo box. By default, the entire title is exported regardless of the typeface. In Settings, select "Detect different fonts inside the text frame tagged as title > YES" to export only the text with the largest font size as the title. The rest of the text will be exported with the tag extratitle and placed at the end of the main text into WordPress. - Tag the image as image and text as caption. - Add the group to the article. Yes. If your WordPress site takes advantage of metadata, before exporting the article, you'll want to fill out the WP Categories and Tags sections of the iziExport panel. The WP Categories section displays the categories that iziExport retrieved from your WordPress site, so select the ones you want to export. In the WP tags section you can add any tag to export to WordPress. - Accept WordPress passwords with special characters. - Improvements in the export of vector graphics. - Non-featured images are exported with the HTML <figure> tag. - Ready to InDesign CC 2019. - Allows export anchored images as inline images in HTML (default settings export images as image gallery). - Allows export all the title ignoring font styles (default settings automatically export the main title). - Ready to InDesign CC 2018. - AUTO TAGGING. New feature that can help you to tag page items and create articles automatically if your document has a layout similar to a standard newspaper. - Fixed some errors when logging into WordPress. - Increase of retries when "Server communication error" occurs due to timeout produced in the Wordpress server. - The tags other than title, text, image, caption and summary are automatically added as WordPress custom fields. - Default image resolution to 96 dpi. - Exports footnotes and automatically links the reference. - Exports multiple InDesign articles. Now, you can export all the articles of your InDesign document at once in three clicks. Each InDesign article is exported as a different WordPress post. - Configure the resolution of the images to export, from 72 dpi to 300 dpi. - Ready to InDesign CC 2017. 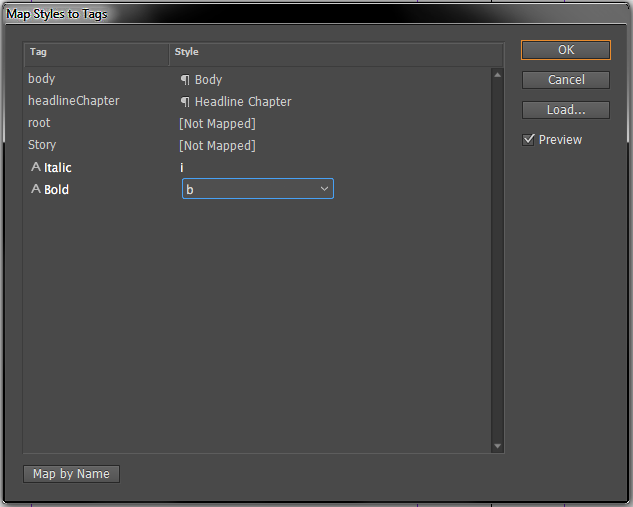 - Exports the summary tag (tagged with Adobe Indesign) to Excerpt (WordPress field). - Exports other tags (tagged with Adobe Indesign) to WordPress custom fields with the same name. - Exports an article with a paragraph that has a "title" tag inside a text frame tagged with a "text" tag. - Exports images and groups anchored in a story. - Images can be exported like featured images into WordPress. - Warning when you try to export a new document without save.